LOS ANGELES – The Nintendo World Championships… now that’s a name few people have heard in over 25 years. At the Electronics Entertainment Expo this year, Nintendo broadcasted the finals of the legendary video game competition that hasn’t been around since the 1990’s. Throughout that faithful year, the tournament toured across the United States to challenge players to see how quickly they could beat games like Tetris, Super Mario Bros., and Rad Racer. 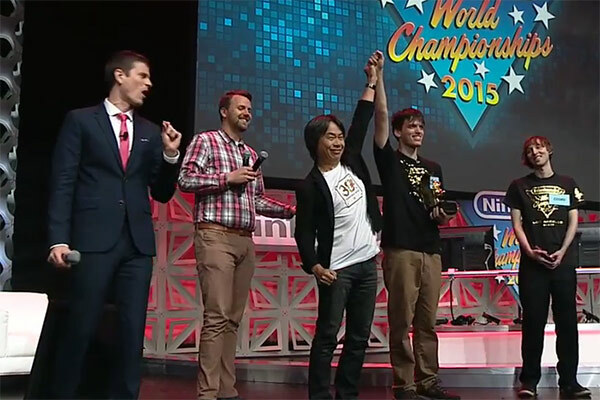 And on May 30th 2015, the preliminary round of the Nintendo World Championships 2015 began and found 16 winners who moved onto the final round held at E3 this year. In the finals, players competed by playing 8 different titles including Splatoon, a competitive shooting game available on the Wii U, The Legend of Zelda, and Mario Kart. The competition’s two finalists, John Numbers and Cosmo Wright, played Super Mario Maker, a game where players can construct unique stages using the game’s assets. Numbers and Wright are both video game speed runners who try to beat video games as fast as possible. Wright currently holds the world record for beating The Legend of Zelda: Ocarina of Time in 18 minutes and 10 seconds. 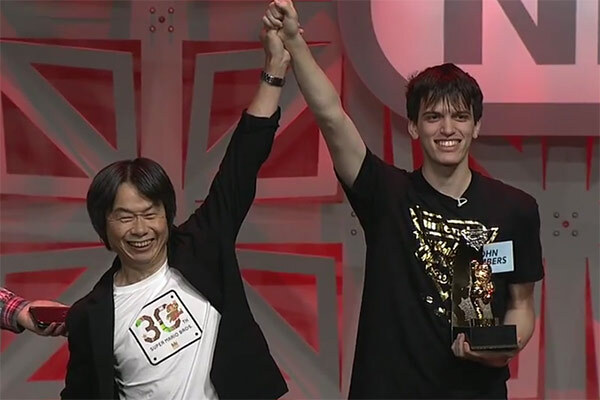 After a gruelling match filled with exceptionally difficult stages, John Numbers emerged as the winner and was presented with a golden Mario trophy by Nintendo founder Shigeru Miyamoto. In the 1990 tournament, the winner was presented with a special golden statue similar to the one presented to John Numbers. The winners also received a $10,000 U.S. savings bond, a convertible car, and 40″ rear-projection television. Although the return of the competition was a great success, there has been no word if this will become a regular feature of Nintendo’s presentation at E3.